ISS can design and install a cutting edge alarm system that keeps your property secure. At ISS, we don’t believe in one-size-fits-all solutions. We work with home and business owners across Victoria to design and install top quality alarm systems that are customised to meet your needs. From motion and infra-red sensors to smoke, heat and break glass alarms, our team of security specialists can create a reliable and easy-to-use alarm solution that deters intruders and helps you to protect what’s important. Our alarm systems are backed by 24/7 alarm monitoring, offering an additional level of security and giving you peace of mind that a professional security officer will respond instantly if your alarm is activated. Call us today to request a free, no obligation quote. We use the latest alarm system technology to design customised solutions that allow you to protect what’s important to you. Whether at home or at work, ISS can make it simple for you to stay safe. Our solutions give you complete control of your alarm from anywhere in the world. 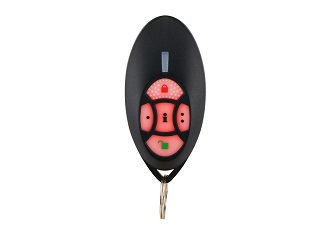 Manage your alarm system with a minimum of fuss using simple and flexible remote technology. At ISS, we take our responsibility to protect you and your property seriously. We’re proud to offer expert advice and industry-leading security solutions backed by responsive and reliable service. We’re available 24/7, 365 days a year. We work with trusted products and brands that offer outstanding reliability and are easy to use. 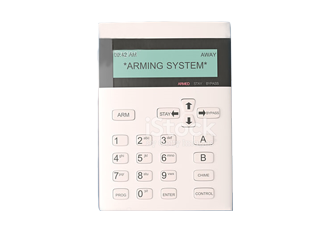 Each alarm system is custom designed using products that best suit your needs and environment. At Integrated Security Services we don’t believe that any one brand or product suits all. We therefor customise each and every solution to your needs and environment. Below are just some of the products that we can utilise to ensure you the best options are presented. For decades, Bosch Security has produced high quality control panels and detectors for small to medium domestic and commercial applications. Our qualified technicians and advisers can assist you to choose the right panel for your premises. 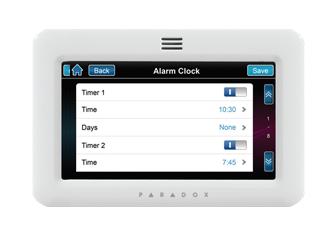 Paradox consistently sets new standards when it comes to domestic and small commercial systems. 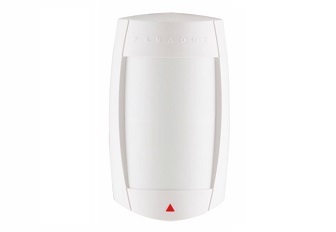 From easy to use mobile applications, two way remote controls, wireless movement sensors (indoor/outdoor) and even small scale access control, you will love the flexibility and reliability of the Paradox product range. 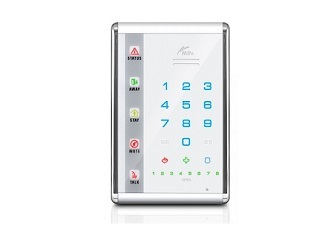 The Hills Reliance 8 security control panel from hills industries represents a new approach to security system design. Drawing on experience from the world market, hills has developed a flexible, durable, and user-friendly control solution. Integrated Security has been a valued contractor at Flemington Racecourse since their business started. They are heavily involved in all security access and monitoring for the race course. They have very good abilities with multi challengers and Forcefield and are especially helpful with new concepts and challenges provided by the size of the Flemington footprint. Integrated are always professional to deal with and are very helpful with dealing with emergency issues. I would have no hesitation in recommending them and look forward to continuing our association with them in the future. 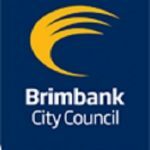 ISS have been providing their services to Brimbank City Council for the past 10 years. The services include Alarm, CCTV and Door Access systems, installations and servicing. During this period, Integrated Security Services Pty. Ltd. (ISS) have shown proficiency with multi Challengers and Forcefield etc and for providing information and ideas for new concepts. ISS have shown reliability and provided timely and professional responses to work requests. 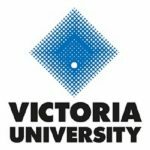 Integrated Security Services have been a preferred contractor for security system installations and maintenance at Victoria University since 2007. However, my professional relationship with Jarrod Hall and Vili Kocet extends back to 2002. Over this period, they have carried out the vast majority of service (maintenance) work on VU security systems, have tendered for and won many installation contracts including but not limited to CCTV systems (cameras, DVR and NVR systems), access control and intruder detection systems and also designed a dedicated Security IP network across all VU sites. Since 2007, we have had 5 different installation companies tender for works on our sites and the only company to be continually invited back to tender is Integrated Security Services. This is due to their professional approach, quality of workmanship and excellent customer service. 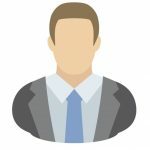 I have found that ISS have superior product and technical knowledge compared to many other security installation companies that I have used in the past and in my opinion, this is the main aspect of the company that sets them apart from their competitors. ISS works with commercial, industrial and government clients across Victoria to design, install and maintain innovative and flexible security solutions that provide total peace of mind. Contact us today to discuss how we can keep your business secure. GPRS technology is the premier method for alarm transmission and provides you with the assurance that your property is under constant protection. 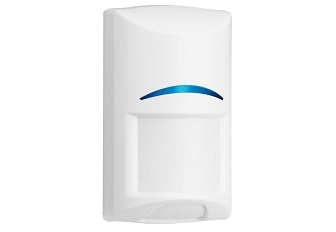 The technology uses a compact module to convert the alarm messages from any security panel to AES128 encrypted data for transmission over secure VPN within Optus & Telstra networks dedicated for these events only. – With NBN services being rolled out, many homes and businesses are loosing their standard PSTN lines making GPRS a more appropriate solution.